← Veritasium: What’s in a Candle Flame? 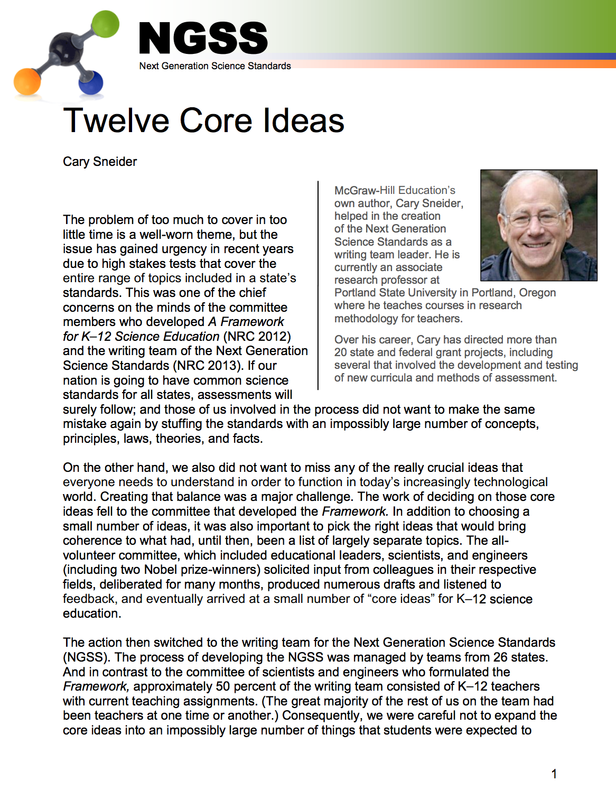 McGraw-Hill has published a white paper by Cary Sneider describing the story behind the 12 core ideas in the Next Generation Science Standards. The paper also makes the case for why a limited number of core ideas is important in science education. Click HERE to access the paper as a pdf. This paper might be useful in professional development on the disciplinary core ideas in the NGSS. This entry was posted in NGSS, Science teacher Professional Development. Bookmark the permalink.